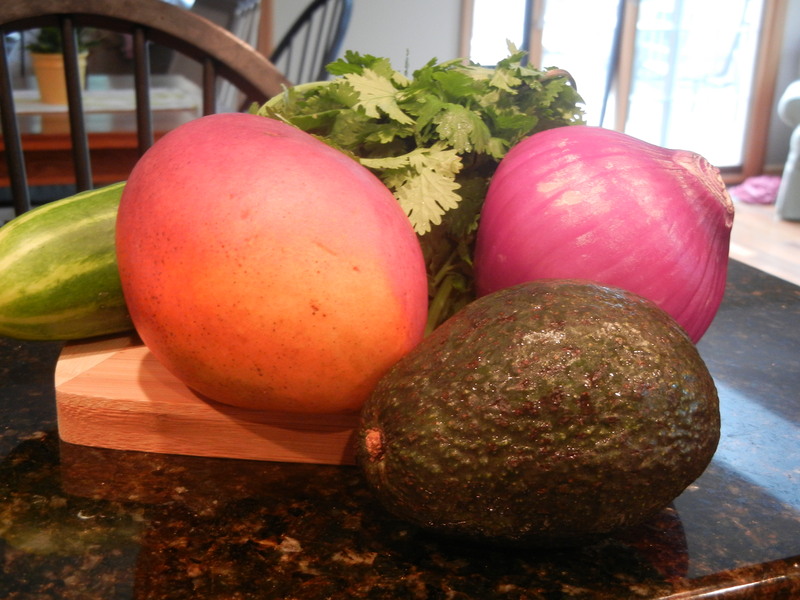 I was thinking that since yesterday was the first day of Summer, we should have something light and summery for dinner. 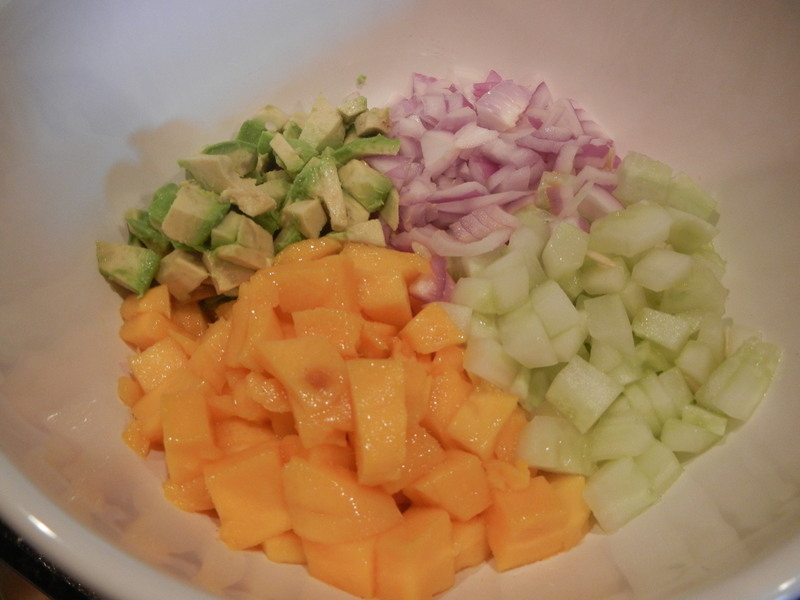 I decided to make fish tacos with mango salsa. That just says summer to me! 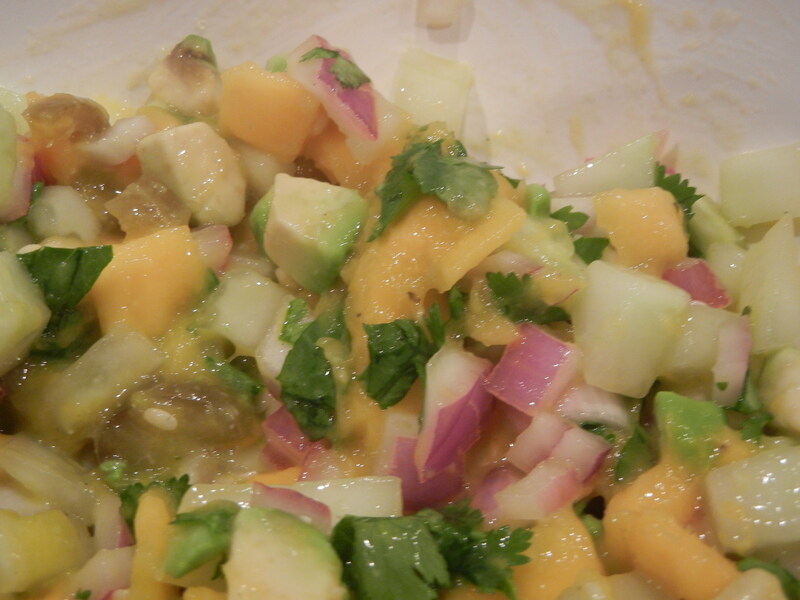 This was my first time making mango salsa. I found a basic recipe online and added to it and changed it around a bit. 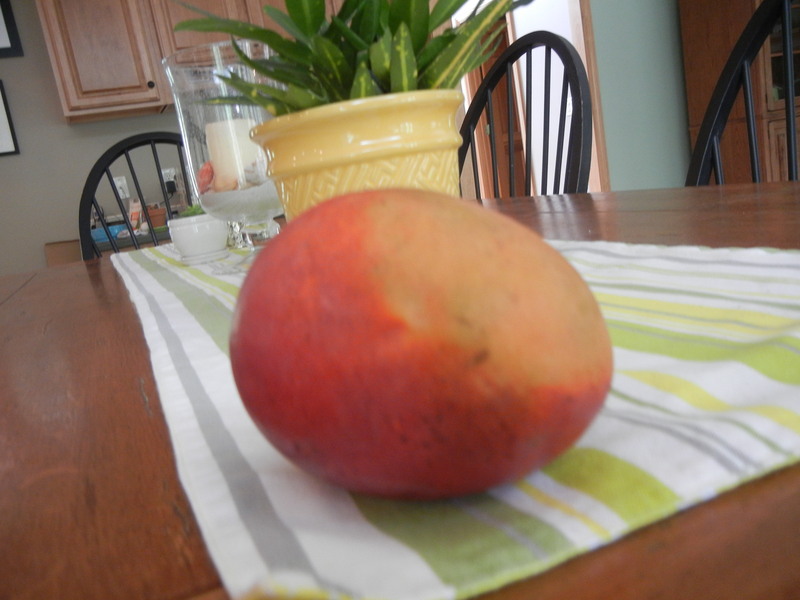 The great thing is that mangos are in season right now and were only $1 each! Mix everything together and chill for a bit. While making dinner, we sipped on some wine from a local winery. 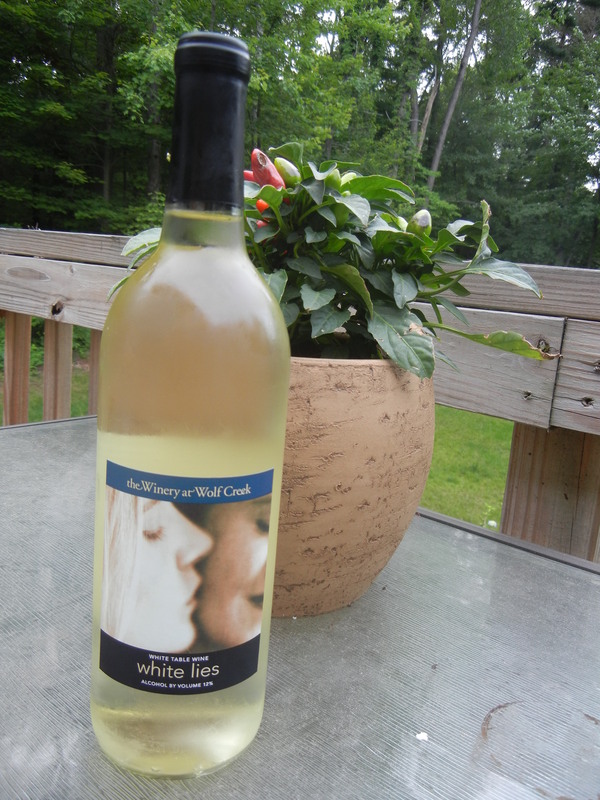 White Lies by The Winery at Wolf Creek. 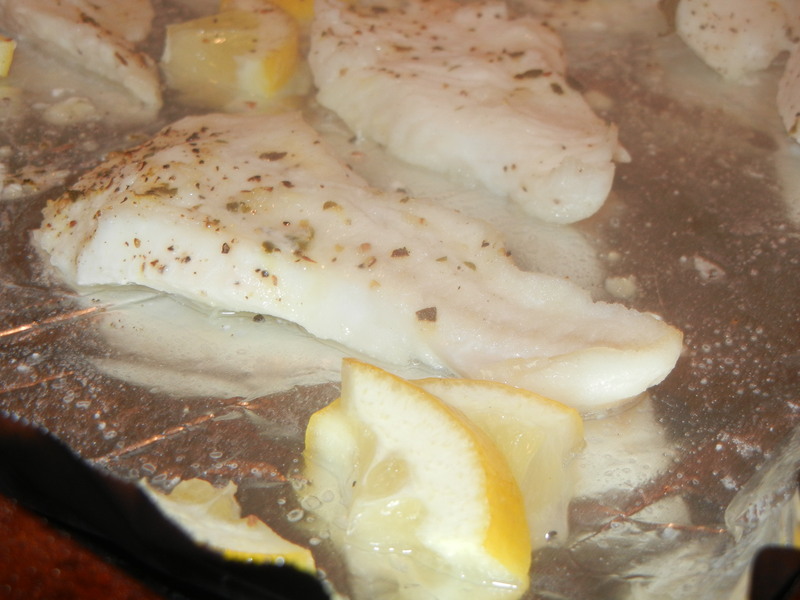 We usually use baked talapia to make fish tacos, and we didn’t have any, but we did happened to have frozen Walleye from Lake Erie. 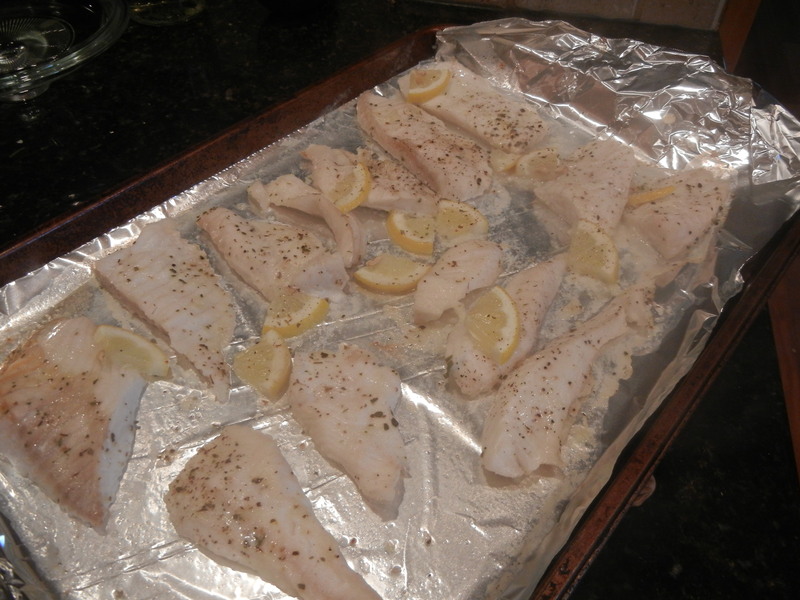 J squeezed some lemon juice over the top and seasoned with lemon pepper. Bake at 400 for 15 mins. 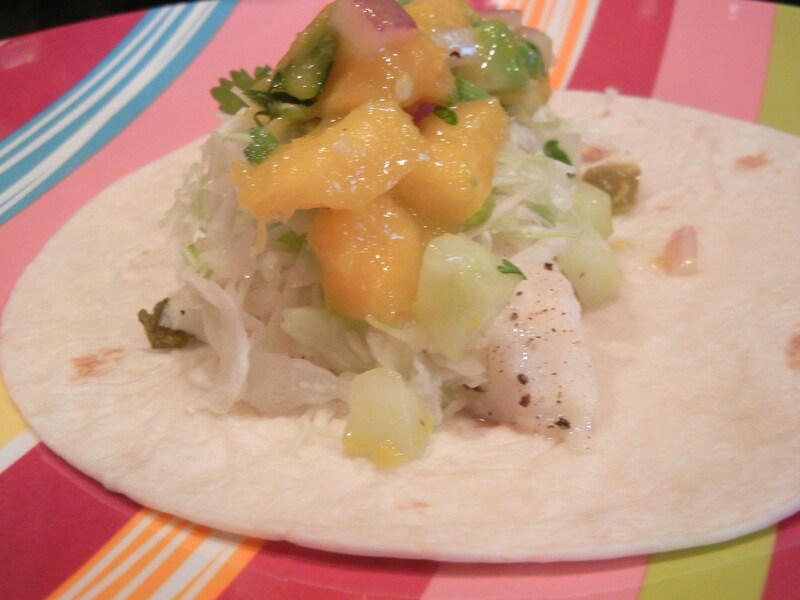 Load up a tortilla with fish, shredded cabbage and top with salsa. We added some green beans on the side and ate outside on the deck while enjoying the beautiful weather. It was the perfect way to welcome Summer! What did you do to celebrate Summer? 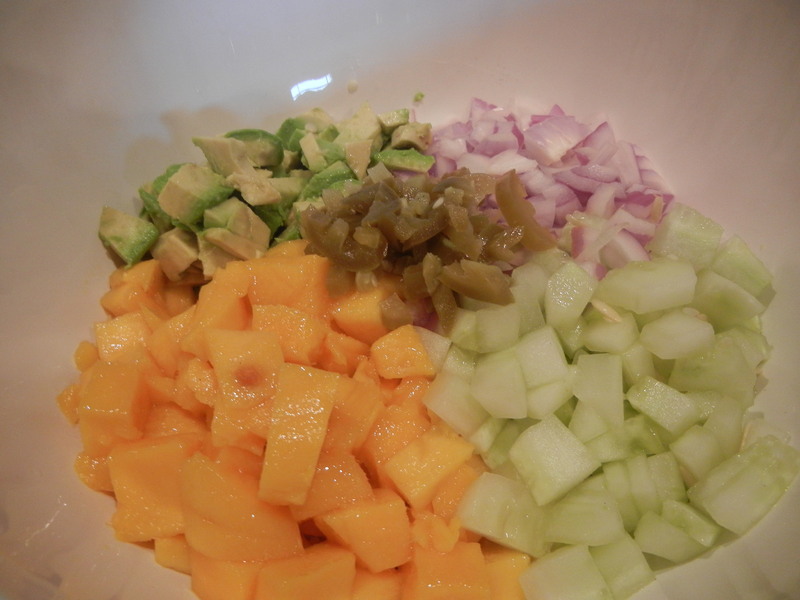 This entry was posted in Recipes, Wine and tagged dinner, fish, food, recipes, summer, wine by Lauren. Bookmark the permalink.